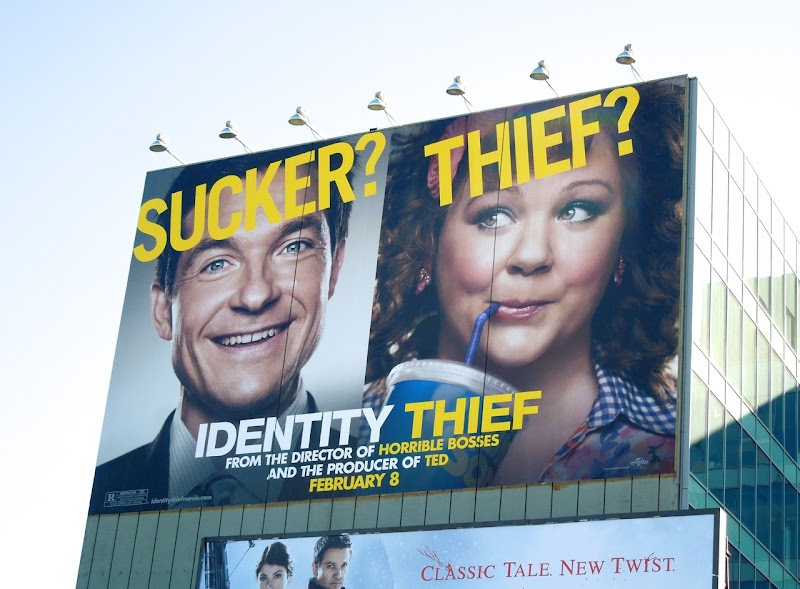 If you thought 2011 was a stand out year for Melissa McCarthy with her scene-stealing star turn in Bridesmaids, a Supporting Actress Oscar nomination for said role and an Emmy win for her TV sitcom Mike & Molly the same year, then you ain't seen nothing yet. 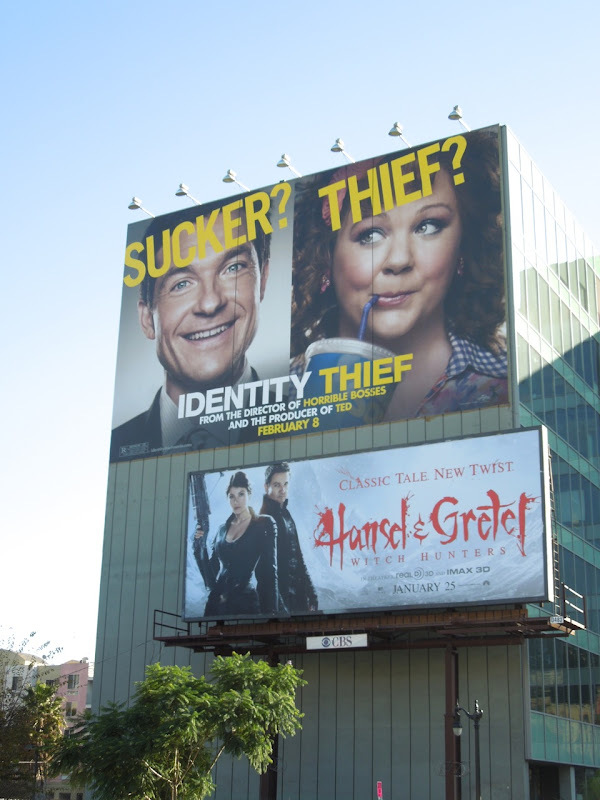 2013 looks like the year she'll be capitalising on her newfound popularity and taking over the box office in a big way. 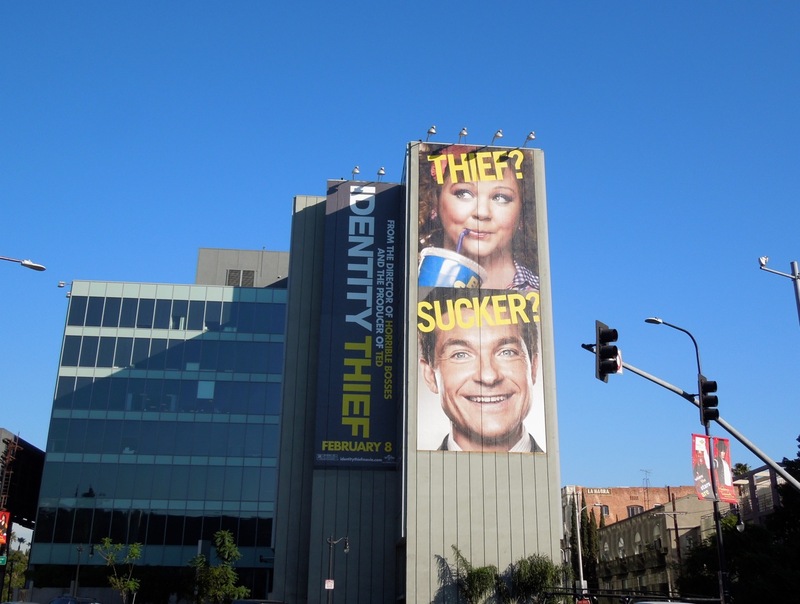 First up this year is the comedy Identity Thief, where she plays a harmless-looking woman committing identity fraud against mild-mannered funny man Jason Bateman. 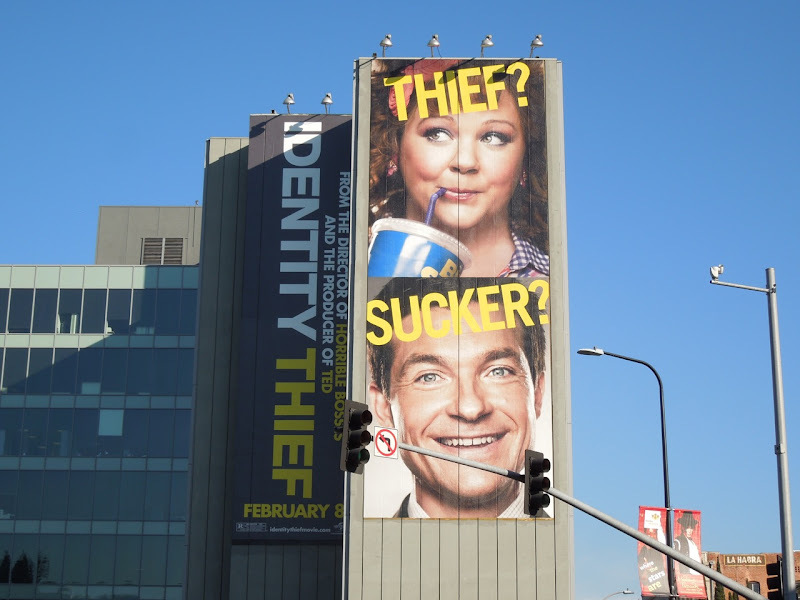 These two super-sized billboards for the movie were snapped along Highland Avenue at Franklin Avenue in Hollywood on January 8, 2013. 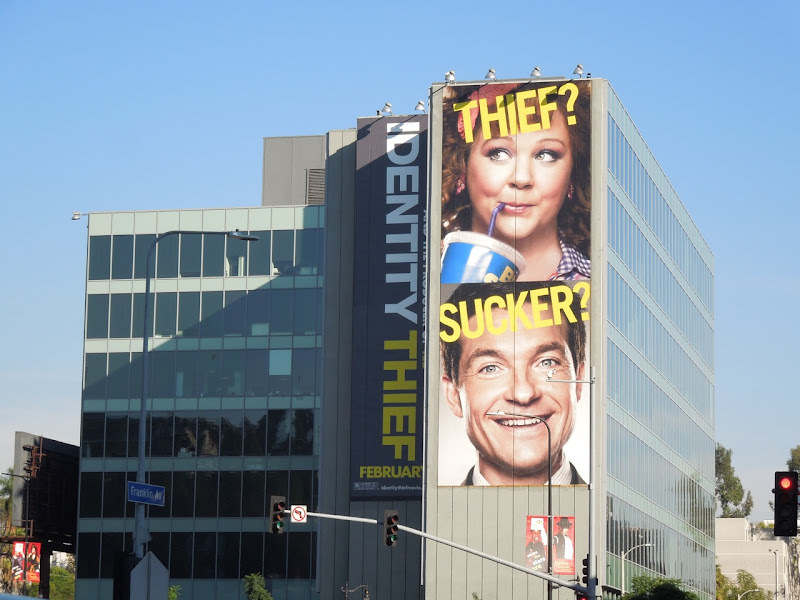 If you're a fan of Melissa McCarthy, be sure to also check out the series premiere billboard for Mike & Molly. Look for the actress later this year teaming up in a cop buddy comedy called The Heat, with Sandra Bullock. 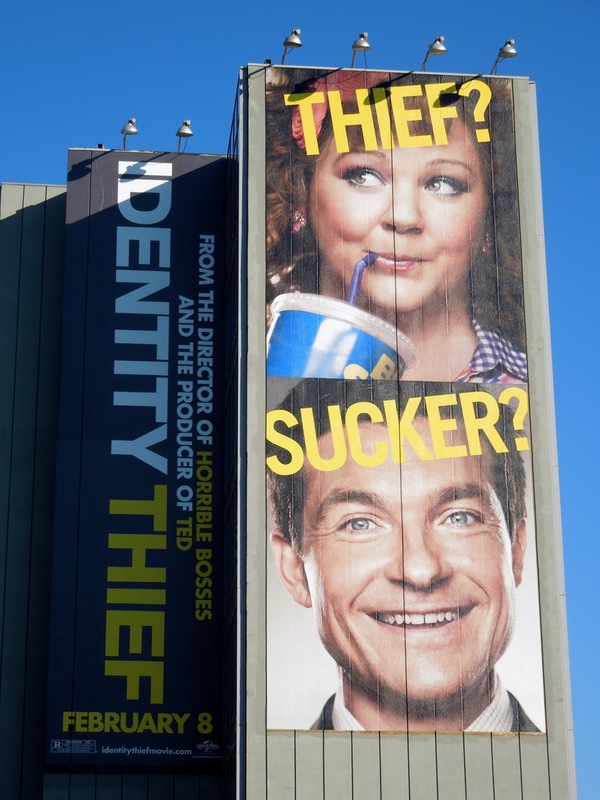 Daily Billboard can't wait.